Car Parks 9, 17, 23, 25, 31, 33 and 35. The maximum amount of time you're allowed to park varies, so make sure to check before leaving your car. Car Parks 1, 3, 4, 20. Please don't park in reserved, disabled, maintenance and loading bays. Please note during business hours, the demand for visitor parking bays can exceed what is available. The University of Western Australia does not have reciprocal parking with any other University. 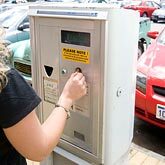 You don't need a permit for the staff red permit and student yellow permit bays on weekends, or after 5pm and before 8am on weekdays (except Car Park 37 where parking is restricted between 7.00am to 8.00pm, Monday to Friday).